You’ve probably read or heard me say by now, I’m a lover of L.O.V.E. This is true. Love comes in all forms, shapes and sizes. Sometimes we fall in love with a person, or our environment. Sometimes it’s the wrong time in our life for the love we feel for that other person, but that doesn’t mean that we can’t learn a lesson from that experience. There was a time in my life where I fell head over heels in love with someone and it wasn’t the right time for either of us. But I learned so much about myself during that experience. I learned that not only could I love but that I was lovable. Even if it wasn’t the all consuming, mad, passionate love that I dreamed of. I’m such a reader that I’ve discovered in the last couple months I am craving a connection to the books that I read. That same connection that you find with the person that you fall in love. So the books that I’ve recently been reading all love stories of all types. For some people love finds us when we are young and it spans our whole life. It’s the one person you feel connected too and can’t let go of. Others don’t meet that person until they are older and cherish every moment and don’t take for granted the time they can spend together. Then sometimes we meet the right person at the wrong time and never forget them. Callie Anderson wrote a book called Invisible Love Letter. This book is simply amazing. It touched my heart on so many levels that finding words to even write a review took me almost a week. A whole week. In my world, that is insane. I read, I write my review and I attempt to move on. But this book… I just held on tight and could not move on. This book will leave you hanging on the edge of a cliff waiting… but never fear, book 2, Endless Love Letter is out NOW! You don’t have to wait at all! You can read Weston and Amelia’s story with all the pieces at once. Your heart will crack, love and soar from the first page of ILL to the final page of ELL. You’ll experience ALL THE FEELS! One of the first books I read in 2016 was F*ck Love by Tarryn Fisher. Even though a friend recommended Tarryn’s books for quite some time, I wasn’t sure I was ready. As soon as I saw this cover and read the blurb I knew I had to read it. And I was right. I wanted to scream F*CKKKKKKKKK from the rooftop. I died a little reading this book, but then I was healed again. I’m going to refrain from attempting to put into words how I feel because yet again, my thoughts were strangled by the words on the page running through my head at such a rapid rate. Tarryn has such a way with words that allow the reader (ME) to feel every emotion and connect to each scene, event and action taking place. This is exactly what I needed at the moment. Oddly enough, Amazon removed this review the first time Tarryn shared it but it has stayed up for a bit now. Let’s hope by sharing it again, they don’t take it down… again. This next book is what some would consider a trigger book, because it deals with the sensitive subject of adultery. This subject if written about well can be extremely thought provoking. This book made me feel… it made my heart hurt, and these funny things leak from my eyes on occasion. But this book really taught me the power of communication and timing. A willingness to fight for what is right for YOU and your life. Love is powerful but we are finicky creatures and that can make some of our relationships harder than others. 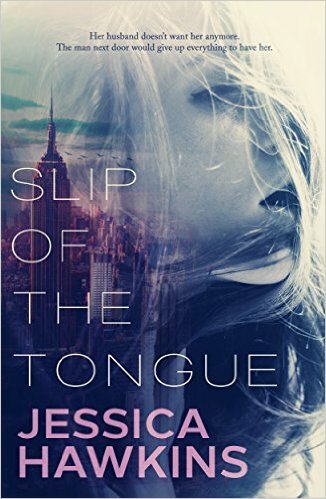 Slip of the Tongue by Jessica Hawkins deals with so many real life, powerful way that I couldn’t stop reading. She was kind, gentle and realistic. It was exactly what I needed at the time. And it doesn’t help the the cover is beautiful, just superb really. Love isn’t a math problem. It’s chemistry and communication. It’s the butterflies in your stomach when you see someone. It’s the person you can’t stop thinking about and you dream about and wake up thinking about them. And I don’t mean like a wild and crazy stalker. <wink, wink> It's the person you just can’t get enough of and you’ll do anything for. The all consuming, crazy, insane, give of yourself first, L.O.V.E. The common thread in these books is that they all have this kind of love. Are you ready to give yourself over to it? Is taking the plunge next on your list? If so, now’s the time.